For women who love shoes, learning that high heels can cause or worsen varicose veins is devastating. High heels are a staple in the fashionable woman’s wardrobe, an integral part of shaping legs and making an outfit pop. However, because high heels inhibit the natural movement that assists your circulatory system in moving blood easily through your lower extremities, wearing high heels too often can force blood valves to work harder than usual and potentially fail, resulting in varicose veins. To avoid developing varicose veins as a result of wearing high heels too frequently, you need to alternate between heels and flats throughout the week. In good news, there are plenty of fun flats to choose from that will allow you to find the perfect shoes to pair with your favorite fall outfits. Booties are perfect for fall when you want to stay warm—but not too warm. Booties can be worn with either pants or skirts, and look great when paired with tights (or even compression stockings if you really want to avoid developing varicose veins). This pair of UGG booties is available from Zappos.com and comes in blue, black, and tan. 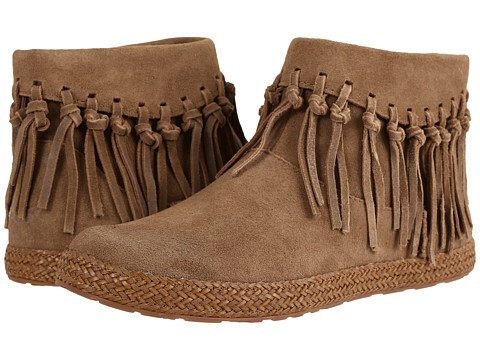 Its southwestern style is sure to compliment your most stylish outfits. If you associate flats with the shoes your mother used to make you wear to church on Sundays, you’re selling these shoes short. Modern flats are highly styled, have vibrant colors, or are topped with an accent that is sure to draw attention to your feet. 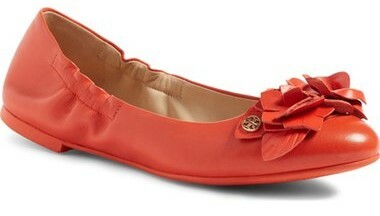 These bedazzled flats by Lauren Lorraine are available from Zappos.com and come in black, red, and silver. The gems are sure to shine whether you’re under office fluorescents or out in the sunshine. Ballerina shoes are the next best thing to being barefoot. They protect your feet stylishly while allowing you to feel like you’re not wearing shoes at all. This pair is available from Nordstrom and comes in black, blue, coral, gold and tan. The thin fabric and almost non-existent heel will certainly allow your blood to flow freely while also drawing attention to your fabulously adorned feet. Oxfords are an anomaly because they are a blend of dress shoe, boot, and tennis shoe all in one perfect style. 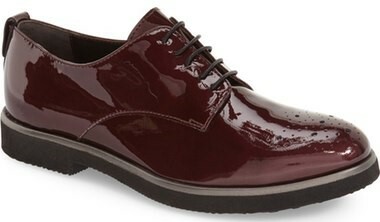 Oxfords pair perfectly with pantsuits, making them an ideal substitute for heels in an office environment. This pair by Attilio Giusti Leombruni is especially eye-catching and available from Nordstrom in black, gray, and plum. These shoes provide the perfect way to stand out even in formal business attire. If genetics, wearing high heels, or any other factor has already caused varicose veins to form on your legs, there are things you can do to eliminate them and get back to wearing skirts without worrying about the appearance of your legs. Modern varicose vein eradication treatments can be performed over your lunch break and may get rid of your varicose vein issues completely. Get a quote on potential treatment costs.